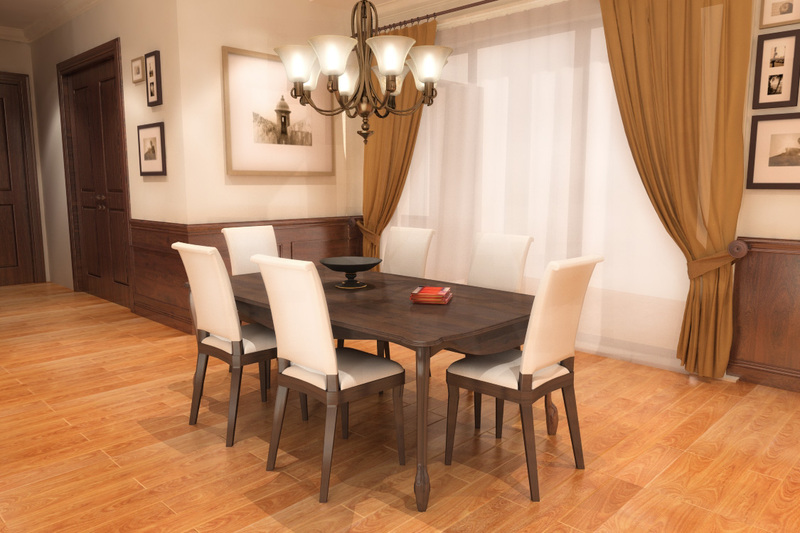 A classic style wood dining table, chairs, chandelier, and curtains. 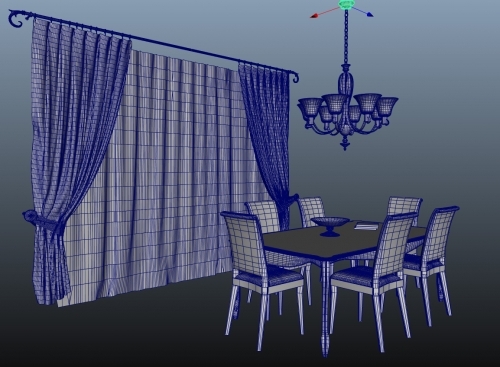 It come in obj and fbx. Shaders, textures, and the room in the background are not included.